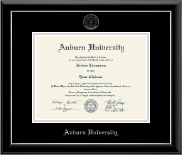 Choose one of our favorite Auburn University diploma frames, then customize and make it your own! 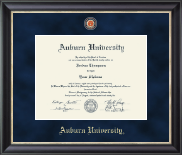 You know what it means to experience the Tiger Walk, roll Toomer’s Corner, yell “War Eagle!”, greet everyone on Hey Day, and rally during the “Bodda Getta” chant. 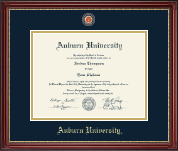 These are the priceless memories that frame your Auburn experience. 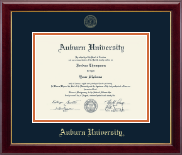 So capture that orange and navy pride and showcase your hard-earned degree in one of our university diploma frames! 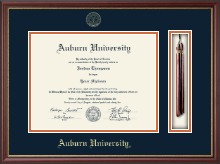 To complement your Auburn diploma display, check out our companion collage picture frames or stylish award frames for Honors College medals. 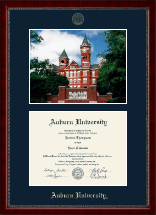 We make ordering Auburn University diploma frames and photo frames easy. 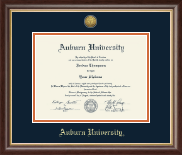 No need to measure anything—we already have the correct AU diploma size for you! 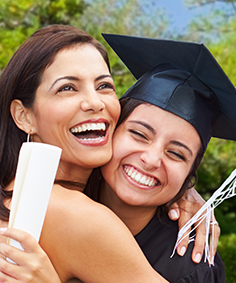 Looking for a black diploma frame, a modern diploma frame, or graduation frame with tassel? 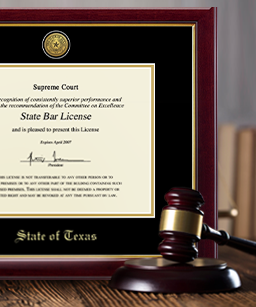 Simply click on the image and order. 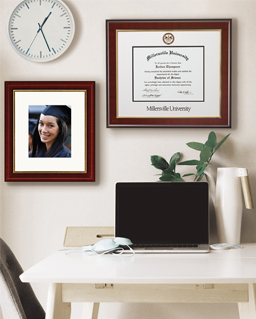 Want a more personalized graduation frame? 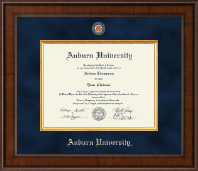 Use our custom online framing tools to design the perfect diploma or photo frame for your Tiger! Your shopping experience is guarantee to be hassle-free. 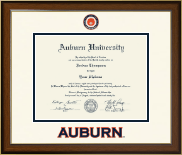 We are proud to partner with the Auburn Alumni Association. 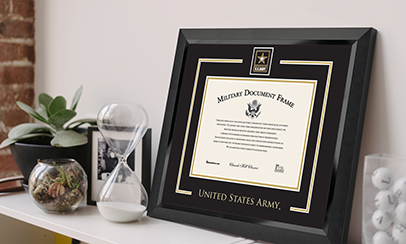 All diploma frames are handcrafted in the USA.